I see the season of Lent as an opportunity. It's an opportunity to get closer to God, an opportunity to get right with God, and an opportunity to examine my life and make the changes that I need to make with my life in the time that I have left. I like to base my plan somewhat on Father Tucker's suggestions from last year. Particularly this year, I would like to try to get to one extra mass a week, and more private prayer time. I also have some specific reading goals in mind for Lent. First of all I want to read Father Larry Lovasik's, The Hidden Power of Kindness. I've read it before and it always challenges me. It's the kind of book you could just highlight and hand it to the priest in the confessional and say, "that's me, all of it, and I'm so sorry." It's a great read, particularly during lent. I also have a copy of Praying the Gospels, by Father Lovasik. There's a little story about that book here. I want to use that as I go through the readings of each day in Lent. Part of my role as the Catholic mom in our Domestic Church, is to set the tone of our home. 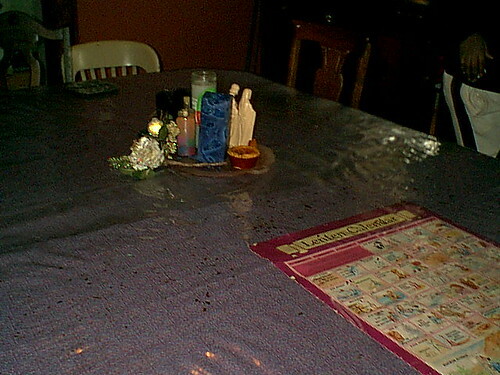 I've had numerous pictures on this blog of my table set for other holidays. 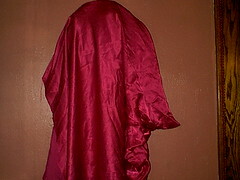 For Lent, I put down a simple purple cloth, the color of the liturgical season. 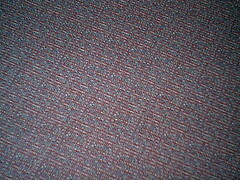 The cloth I have on the table right now I was lucky enough to get at an estate sale for $1.00, and it is beautiful. Nothing fancy but it fits our needs well. On Mardi Gras, we will make another one of these toothpick crowns for our center piece. I'm doubling the recipe! I want it to be extra big this year. 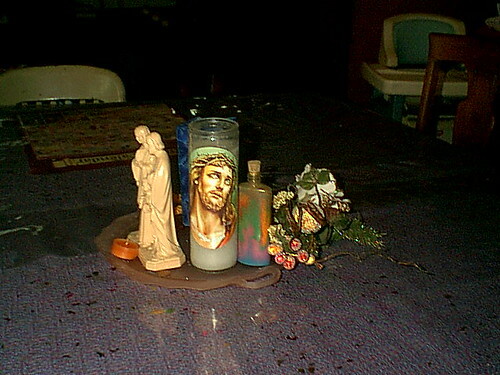 In the center I have a glass candle holder with an image of the crucified Christ. I will have these books out for display during the Lenten Season. We cover up our Alleluia cross with a purple cloth on Ash Wednesday, not to come down until Easter. We also follow the season closely with this beautiful calaendar that my mom bought for us many years ago. It is helpful for the children to follow along every day. We eat simple suppers on Wednesday and Friday during Lent. Lots of fish, potatoe soup, crock pot dishes. And we do get rid of candy and pop - which is a bigger sacrifice for some than for others. 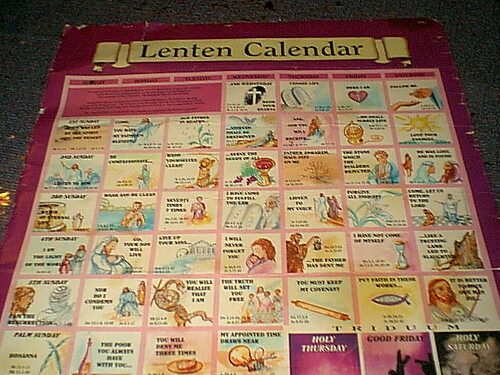 I would like to do one activity this year for Lent, and perhaps the kids can help. I would like to make some of these little burial pouches for premature babies and given the to a local hospital. I think that would be a nice simple but also practical activity for all of us that reaches out and helps others. As a family also, I would like to get back to a family rosary night and maybe one extra mass a week - with a busy toddler, that really is penance!! My prayer is that we can slow down as a family and really really marinate in what this season of Lent means, to us as individuals, as a family, and as Catholic Christians.